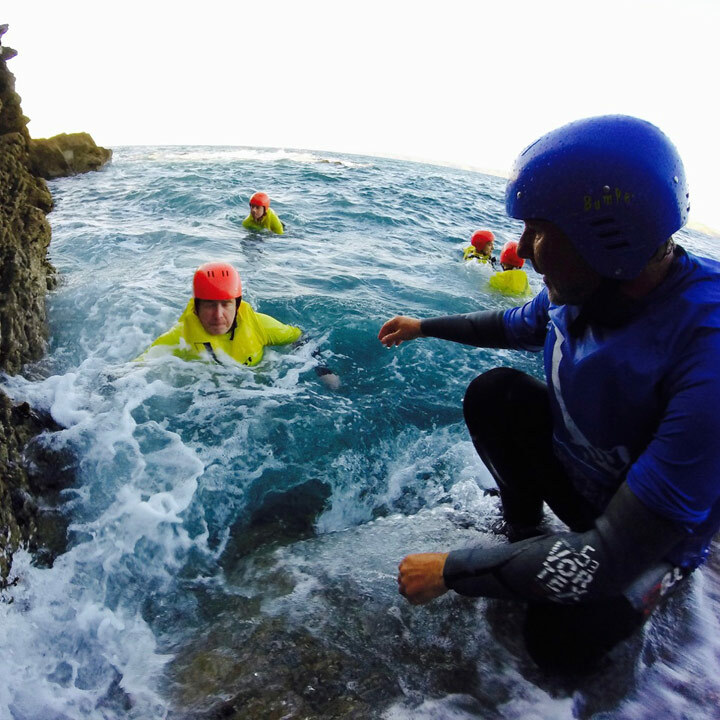 Nick Webb and his team of experienced Bare Feet Coasteer Guides pride themselves on meeting the specific requirements of each and every group they take Coasteering. The team are all qualified RLSS or NARS lifeguards, trained in water rescue and first aid. Bare Feet Coasteer is owned and managed by Nick Webb, a highly experienced Coasteer enthusiast from Newquay. 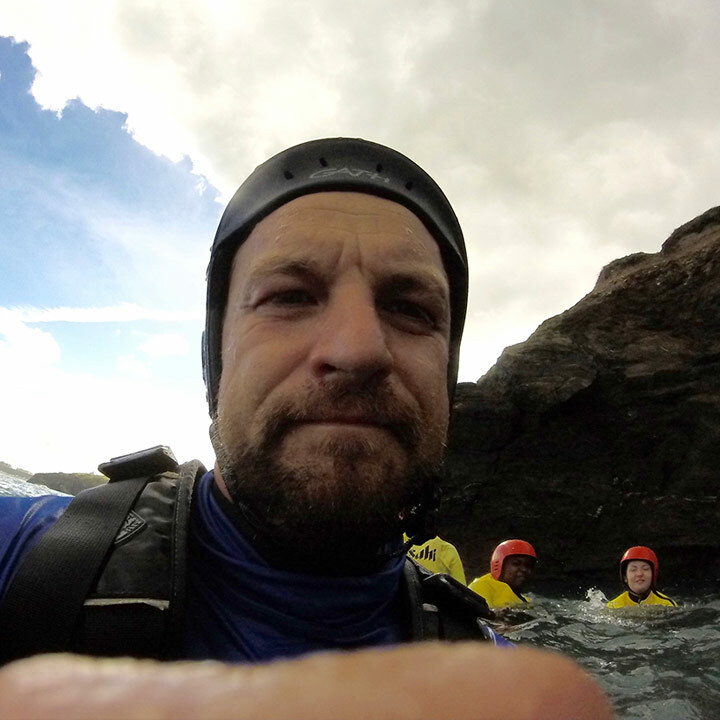 Nick is well known within Cornwall for running and planning beach events and surf contests, he has brought his attention to detail and rigorous planning skills to the world of Coasteering. Mark is a lovely Irish man …he’s also whats known as a “Waterman” that means someone who is more at home on the water than on the land. Mark knows the Cornish coast like the back of his hand. 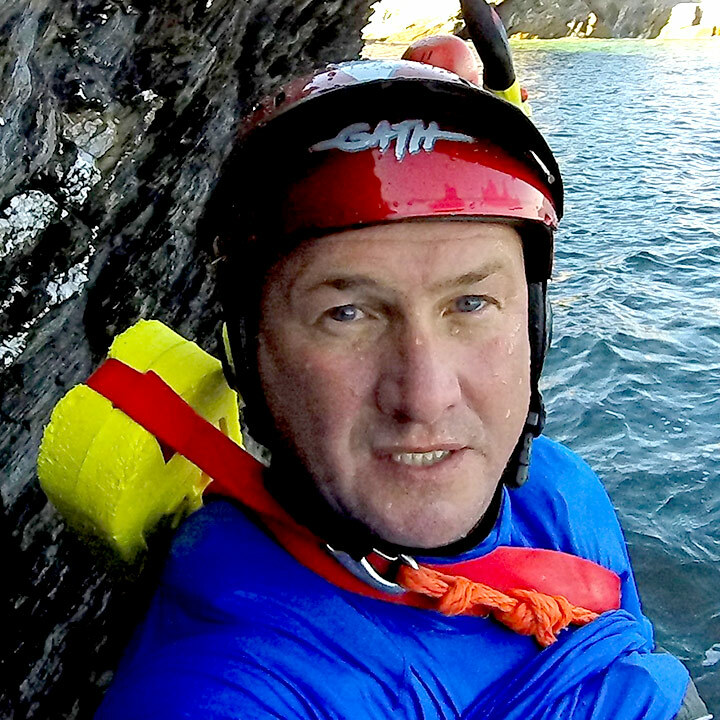 Mark is also our Technical Advisor ensuring that we adhere to the stiff safety rules we have set ourselves and by organisations such as National Coasteer Charter and Adventure Activity Licensing Authority. Dave is one of the most professional and experienced guides on the coast. Dave’s passions are rugby, rugby, jumping off stuff and rugby. Dave’s nickname is Dave Grohl due to his uncanny likeness to the Foo fighters front man and legend of Rock himself .Dave can’t can play guitar or sing like the real Dave Grohl but he is definitely one on he nicest people you will meet. Ben is a great Guide, always calm and there to help. Ben is an absolute surf nutter. Any excuse and he will be out surfing. He goes on surf trips all over the world …all the time! In fact has anyone seen Ben? We are off and running for 2019....a few shots from Saturday. 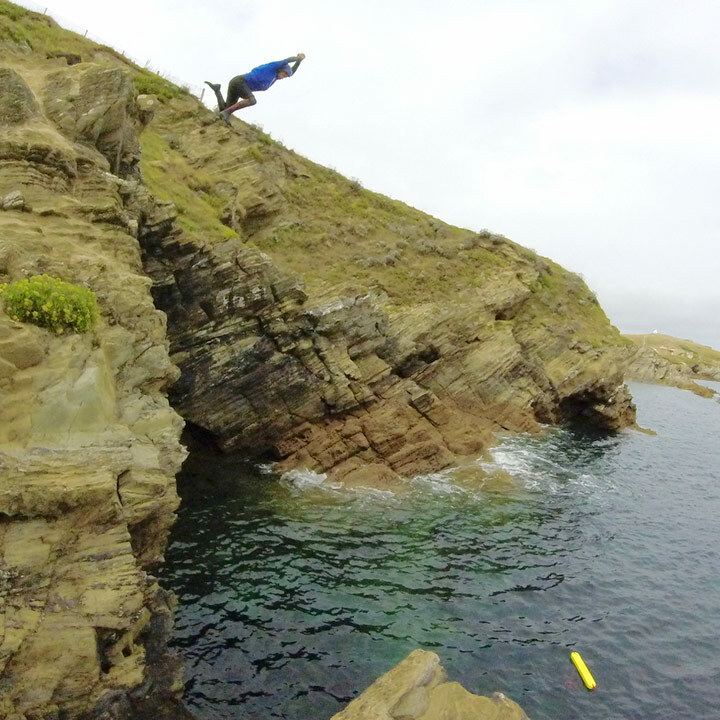 Thanks to all who came coasteering at the weekend it was so much fun ! Testing this on You Tube to see which platform looks best any thoughts ? At the start of each season we go and check the routes to make sure nothing has changed during the winter storms. We choose the lowest tide for this ...its not very often we get one as low as last weekend which opened up some amazing places for us to explore .... bit grey but just as stunning as ever ! Love this shot. hah ha ! have a great weekend everyone ! A photo from this time last year ... you can still see snow on the cliff tops...also big shout out to our great friends at Sailors .., THE place for the best night out in Newquay !!weeeeweee! Starting to get a few things ready for the coming season ..can't wait to see some of these beautiful places again.